Varithena® (polidocanol injectable foam) is an FDA approved prescription medicine used to treat varicose veins caused by problems with the great saphenous vein (GSV) and other related veins in the leg’s GSV system. Varithena® improves symptoms related to or caused by varicose veins, and the appearance of varicose veins. Varicose veins are enlarged, bulging veins usually found in the legs; they can cause uncomfortable symptoms such as swelling and achiness. Common risk factors include family history, aging, being overweight or obese, and working at jobs requiring prolonged standing. Varithena® (polidocanol injectable foam) does not treat all types and all symptoms of varicose veins. Varithena® (polidocanol injectable foam) is a prescription medicine used to treat varicose veins caused by problems with the great saphenous vein (GSV) and other related veins in the leg’s GSV system. Varithena® improves symptoms related to or caused by varicose veins, and the appearance of varicose veins. Varithena® is administered by the doctor into the malfunctioning veins. The minimally invasive, nonsurgical treatment doesn’t require incisions. The doctor usually numbs the injection site, but no additional anesthesia is required. What results might I expect with Varithena®? In clinical trials, Varithena® reduced patients’ varicose vein symptoms including heaviness, achiness, swelling, throbbing, and itching (HASTITM Symptoms). Varithena® also improved vein appearance in assessments by both patients and doctors. Your doctor administers Varithena® through a catheter or by direct injection into your malfunctioning vein. The foam fills the desired section of the vein, and the diseased vein collapses. Blood flow shifts to healthier veins nearby. What happens to Varithena® after it’s injected? The foam is deactivated when it comes in contact with blood. It usually takes the doctor less than an hour to administer Varithena®, and you go home the same day. Are there side effects to treatment with Varithena®? The most common side effect seen with Varithena® is leg pain or discomfort. In the majority of cases, leg pain stops within one week. The other most common side effects are injection site bruising or pain, and potentially serious blood clots in the leg veins. These are not all of the possible side effects of Varithena®. Tell your doctor about any side effect that bothers you or that does not go away. You may see results with as little as one treatment, depending on the number and size of your varicose veins. 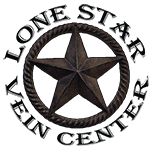 Additional treatment may be necessary if the size and extent of the veins to be treated require more than the maximum dose of Varithena® per session. Treatment sessions are separated by a minimum of 5 days. You may resume some activities the same day as treatment. You will need to keep your post-treatment bandages dry and in place for 48 hours and to wear compression stockings on your treated leg for 2 weeks. You should avoid heavy exercise for one week. For a month, you should walk at least 10 minutes a day and avoid long periods of inactivity. How long do I have to wear my compression stockings after the procedure? Compression stockings should be worn on the treated leg continuously for 2 weeks (14 days total) after treatment. Your doctor will recommend either thigh-high or knee-high stockings, depending on the location of the treated veins. Do I need to wear my compression stockings while I shower or bathe? Your doctor will apply bandages and a compression stocking to the treated area, which should remain dry. You should not shower or bathe during the first 48 hours after treatment. After the initial 48-hour time period, your compression stockings must be worn day and night, including in the bath or shower, for the next 12 days. Replace the wet stocking with a dry one immediately after bathing or showering. Is Varithena® covered by my insurance carrier? Your insurance carrier may cover treatment. Your doctor’s office will contact your insurance provider to determine if you are eligible for treatment. Coverage may depend on the severity of your varicose veins and your symptoms.